The medical engineering programme combines medicine and engineering. As a medical engineer, you will be shaping medical advances and helping people stay healthy. The medical engineering programme on the Tuttlingen Campus focuses on the planning, realization, development and approval of instruments, medical devices and systems, and the relevant production processes. 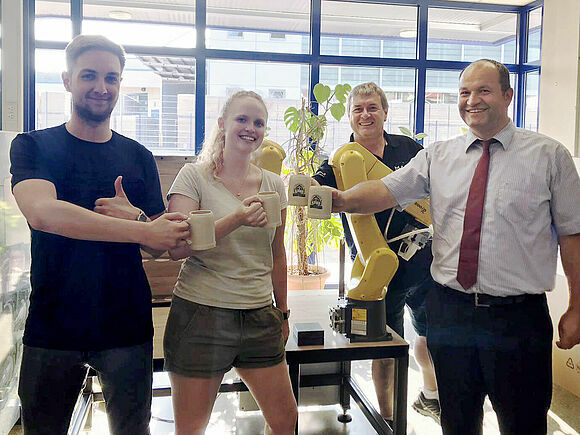 So HFU is training engineers on the Tuttlingen Campus in the technology of the future for one of the world's fastest-growing sectors. The medical engineering degree at the Faculty of Industrial Technologies is the first step in your successful career. Graduates of the Medical Engineering - Technologies and Development Processes programme mainly work in the area of medical technology. You will develop innovations for life sciences and to keep people healthy. As an engineer you will plan, monitor and head up the development and manufacture of instruments or medical devices and supervise the relevant manufacturing processes. Alternatively, you may work in quality control, product management, in process development or in purchasing. Many career pathways are possible in industry, institutes, public institutions and hospitals. As a medical engineering specialist you have solid engineering and medical know-how. The strength of this sector means the job and career prospects for engineers are excellent. The bachelor's degree can be your first step in a successful working career, but you can also follow it up with a master's degree. If you are interested in continuing your academic studies, take a look at the various master's degrees we offer. Tuttlingen is the centre of medical technology in the world, home to more than 400 companies in this sector. It is one of the strongest industrial regions in Germany. Besides medical technology, production and precision engineering are also the economic drivers here. During your medical engineering programme you will have a great deal of contact with companies. You will also visit hospitals where you will gain deep insights into medical engineering. Medical Engineering - powered by industry! The medical engineering programme at the University Campus Tuttlingen is run in close cooperation with industry. More than 100 companies belong to the Friends of University Campus Tuttlingen and are actively involved in the setting up and teaching of the programme curriculum. The medical engineering course is therefore workplace relevant and highly current: students visit various companies and labwork and projects actually take place in the companies. This gives students deeper insights into the field of medical engineering, as well as the everyday work and demands of engineers working in this field.